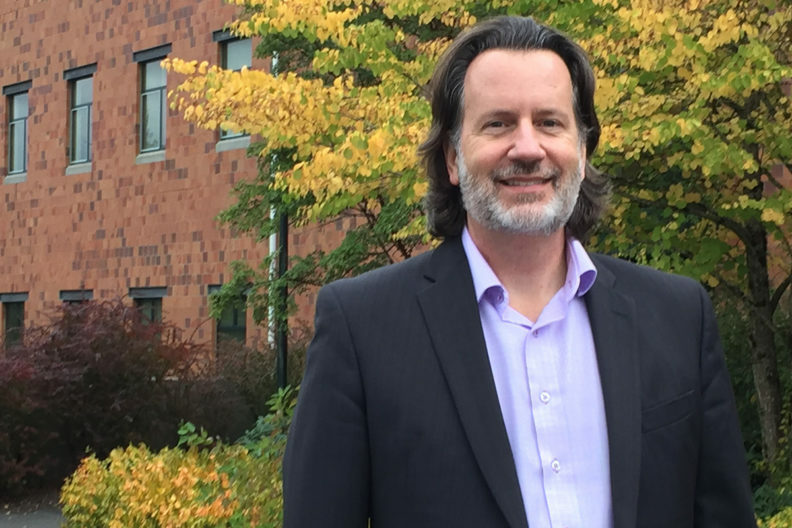 VANCOUVER, Wash. – Tom Tripp, Carson College of Business senior associate dean of academic affairs, was recently appointed as the Rom Markin Endowed Leadership Chair in Business. The endowment permanently honors Markin for his many accomplishments and contributions to higher education, Washington State University and the Carson College of Business. Tripp serves as a management professor at WSU Vancouver. As chair he is charged with attracting and retaining top academics that produce top‑tier scholarship and sustaining and advancing the college’s educational programs in an increasingly competitive environment. Tripp says he was “just a kid” when he started at Washington State University 27 years ago, in awe of the leadership and vision of Rom Markin, then dean of the college. For 15 years, Markin led the college’s fund-raising efforts to establish several key distinguished professorships in business disciplines, launched innovations that became incorporated in college curricula, and oversaw the renovation and expansion of the college’s classrooms, office space and administrative headquarters in Todd Hall. As a driven, entrepreneurial leader, he is credited with providing momentum leading to the development of the college as a modern, comprehensive, professional school of business. Throughout his WSU career, Tripp has been acquiring the skills needed to help advance the college to its next level. Most recently, he is leading the reform of the college’s undergraduate curriculum. Once approved by the college and the WSU Faculty Senate, he will guide its implementation. Tripp also is helping revise the college’s MBA programs to be more competitive. Once the revisions are complete, he will continue to support faculty in their teaching efforts. He also plans to continue conducting and publishing original research on issues related to teaching and learning. Previously, Tripp chaired the committee that extensively revised the university-wide general education curriculum into the University Common Requirements curriculum and has participated in many teaching technique sessions offered through the WSU Teaching Academy. Additionally, he has provided teaching orientation to new Carson College faculty for over a dozen years.